"This town is a multi-century interest, with plenty of major places, to visit and explore : casttle, dungeon, cathedral, forteress walls, medieval streets, Renaissance houses as ours, and such cultural witnesses of Arts : with free entrance museums : both Caravagio's discovery, Lansyer's house (19th century aquarellist) gallery, etc...Loches is one of "France's cities of Art & History", and "most beautiful places of France", for its rich and remarquable architectural and historical patrimony. 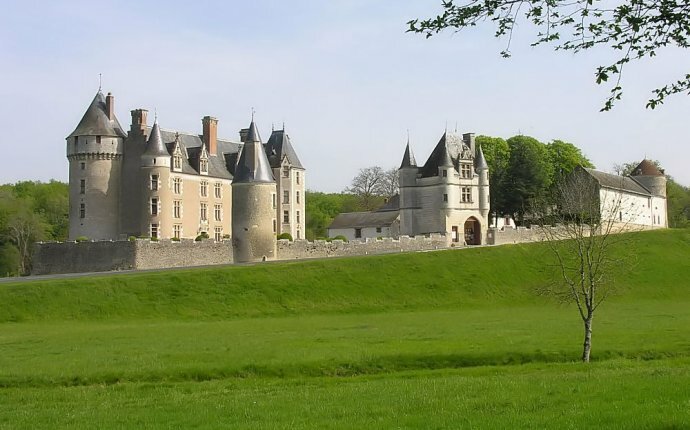 The " House of l'Argentier du Roy ", is placed on the ramparts of Fort St.Ours, a very quiet, peaceful place. Offering bed and breakfast rooms at this place offers a huge advantage, that of being in a protected historic, with a very low (except for rare residents), car traffic. ..no noise but urban advantages . many gardens and countryside very close indeed a promising area for birds, squirrels, and other owls who live with the locals, in a quiet no comparison, in Loches..